Anchor – The male Sphinx Warrior who is Joined with his female has the ability to anchor her to a location during a Power Jump. Normally, rare Priestesses have the ability to Jump a Gate into the void destroying it. Without her Power Mate who will anchor her, she will be pulled with the Gate and lost in oblivion. Athenia – Original planet that Egyptians came from when they were still called Anamanians. Athenians – Original name of the Egyptians before they came to Earth from Anamae. Ancient – A Powerful Sphinx from the time before the Sphinx and Egyptians (previously known as Athenians) left their original planet (Athenia) to come to Earth. What was left of the Ancients disappeared shortly after arriving on Earth. They too have Life Power and were almost considered Goddesses. All were female. Collar/Collaring – The choke necklace of black crystals which was forced upon the Sphinx Warriors by the evil Elder Turin. Can be used for punishment and to prevent the Sphinx from using their Powers. Collaring Ceremony – An illegitimate ceremony created by Elder Turin. A ceremony performed in front of the Egyptian public. It is basically having the Power Keeper introduced and her dedicating her life to the Egyptians, the Warriors, and ultimately taking on the mantle of the Collar in defense against the Wraith. Complex/Genetics Research Complex/Complex 46 – A system of above and below ground levels where the humans, Egyptians, and Sphinx live, work, train, fight, and so on. The above ground portion of the Complex is considered known to humans as a secret military base. The below ground is a secret and unknown to the human population. Dimensional Gate/Gate – The doorway which opens between the Earth (or other worlds) and the Wraith’s world. Dionic/Dionic Power – A genetic condition at birth which manifests at puberty. The Sphinx is unable to properly convert Life Power and will die from the condition if not properly managed for life. Drake Dimension – The dimension in the 13th Universe that is home to the Wraith. Elders – Ancient Egyptians who are almost immortal but who are not Sphinx. They are the counsel and leaders of the overall Egyptian and Sphinx community. 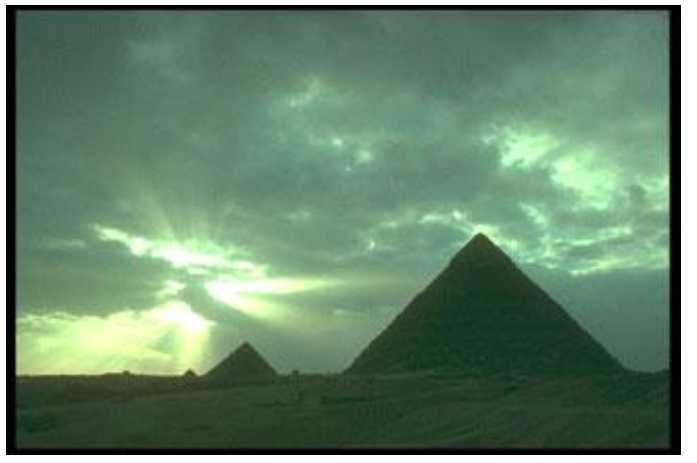 eScrolls – Written historical events recorded and maintained by the Guardians about the Sphinx lives and battles. Due to the age of the ancient scrolls and modern day technology, the scrolls are being updated into electronic versions. Can be read much like a book on an e-reader. Garden Dome – A level in the Complex which contains a huge tropical area including plants, wildlife, hammock and sitting areas, and a large open grass field near the center of the dome where the Transference occurs. Also includes a waterfall with large pool at the base of it. Gate Strands – Glowing strings of Gate energy. A Gate Jumper or Power Jumper can attach the Gate Strands to an existing location and utilize the energy to jump. As long as the Gate Power remains a jump can be sustained. Once it is gone, the jump is no longer possible. Gatherer – Transports items from the outside world including the “human” level of the Complex to the underground secret Complex. Guardians Elite – Those Guardians who have pledged to train and fight with the Sphinx Warriors. They are an elite team of Warriors unto themselves. inner Sphinx/Sphinx self/Sphinx side – The inner “spirit” of the Sphinx race. It is feline in nature and gives the person strength, longevity of life, and the unique abilities associated with Life Power. It will come to the surface in personality when extremely angry or defending ones mate. Joining/Joined – The act of a male and female Sphinx when they become true Power Mates and occurs when their Life Forces join as one during love-making. It enables Power Mates to mentally communicate through a mental link, feel emotions, sense pain, danger, and so on. Jumping/Jump/Gate Jumping – Priestess Warriors have the ability to connect into an existing Dimensional Gates Power or energy and can use this to transport themselves and others from location to location. Jumping Plane – The in between void that is occupied by a Priestess and the person she transports from one location to another using the energy of existing Dimensional Gates or recently relocated Gates. This action is used to move Warriors to battle or evacuation from a site. Once the Gate is closed completely the jumpers must be on solid ground again or can be lost in the Jumping Plane. Khenti – The one and only leader of the Sphinx Warriors. He is the only one who has the ability to form the Warrior’s Link during battle. Killing Look – When a Sphinx is threatened or when a mate perceives competition against his or her mate, the Sphinx will look intensely at the competitor. Their eyes may glow and those with the ability can actually kill with the look, although this has not happened in centuries. Life Force – The soul, the inner spark of life, the purest part of a person. Often sensed as an internal light. The Life Forces will Join between Power Mates. Life Power/Power – Also referred to as energy. Exists in everything. The Power Keeper draws it into her body and transfers it to the Warriors giving them strength in life and in battle. The Life Power also gives energy in the performance of unique skills in each Sphinx, for example; healing, tracking, Gate jumping, Gate stabilizing, and more. Link – A special connection shared between Life Mates. Gives them the ability to communicate without words over distance, feel each others emotions, sensations, potentially see images in the others mind. Rare instances of becoming a conduit for pushing Life Power through for defense or offensive purposes. It is formed during the Joining of Life Mates. Master Quarters/Warriors Quarters – The Sphinx Warrior’s private living areas. Old Kingdom – The civilization in the 2500 BC time era and the people left over from the original travelers who came from the planet Athenia and who were known as Athenians. Other World – Another term for the planet Athenia. Pages of Seven – One of the oldest of the Ancient Scrolls. Created by the Guardians of the ancient past. It contains important information of how to destroy the Gates but several of the pages have been lost and the actual interpretations of the words are unknown. Only three pages of the seven are in the possession of the Sphinx Warriors. They will have to find and decode the other pages to try and learn how to destroy the Gates. Power Burst – An explosion of energy that can be stored and released from a Power Sword as a weapon. Only certain Warriors can do this. Power Healer – A female Sphinx who has the ability to take energy and convert it into healing energy. Power Jumper – A female Sphinx who has the ability to harness Dimensional Gate Power and jump themselves and Warriors from location to location. Also has the added ability beyond a Gate Jumper to actually jump an entire Gate into the void to destroy it. Power Keeper – A female Sphinx who has the ability to draw Life Power from the world around her, store it in her body, and transfer it to the Sphinx Warriors or her Mate. Power Keeper Mark – Seen as a tiny crystalline pyramid marking on the female’s skin. Only present on pureblood Sphinx. Power Mate – The significant other of a Sphinx male or can indicate the Sphinx male of the female. Power Mates are Joined. They share strong emotions, communication, and other senses through their Joined link. Power Sphere – A ball of energy that can be created and released by a Priestess and used as a weapon. Power Signature – Unique symbol of a Warrior’s Life Power and Life Force pattern. It will form as a “medallion” on the back of the Sefu Element in its Element form or on the end of the handle of the Power Sword in its weapon form. Power Sword – An incredibly strong sword used by the Sphinx Warriors. It is actually an Element entity (part element, part biological) which permanently bonds with its host. When the Warrior calls upon the Sefu Element, it will Reflex into the Power Sword. Depending on the abilities of the Warrior, he or she may be able to pulse a strong amount of Life Power through the Sword in battle. Priestesses – Female Sphinx with unique abilities. They were considered as religious figures in ancient times and were forbidden to become Power Mates. reflex – The action of hand movement and channeling of Life Power to the Sefu Element which in turn responds by forming the Power Sword. This action can be reversed returning it from the Power Sword back into the Sefu Element. Sefu Element - An Element entity (part element, part biological) which permanently bonds with its host and resides on the hand and wrist of that person and appears to be an intricate piece of jewelry in that form. On the back of the center of the wrist of the Warrior, it will form a “medallion” appearing disk which may include a gem of some type and have an image of the Warrior’s Power Signature. When the Warrior calls upon the Sefu Element, it will Reflex into the Power Sword. Sphinx/Sphinx Warriors – An ancient race of Warriors who have pledged their lives to the defense of the Egyptians and the Earth overall against the Wraith. Can be male or female. Are almost immortal. Currently there are only seven male Sphinx Warriors left. A female Sphinx can be both a Power Keeper and a Sphinx Warrior. Staging Cavern – The lowest level of the Complex where the Dimensional Gate opens and the Sphinx battle the Wraith. Tracking – The ability of certain Sphinx Warriors to be able to track Wraith who have escaped from the Staging Cavern. The Warrior can read the energy left behind by the Wraith and hunt them down. Transference – The ability of a Power Keeper to transfer the Life Power she has collected from herself to the Sphinx Warriors. Also occurs between Power Mates. Requires close physical contact and is very stimulating on a sensual level. Transformation/Transformed – An activation of the Sphinx genetics in one who does not know they are from Sphinx ancestry or does not exhibit it. This activation may occur naturally or with an injection of a genetic booster. The genetic activation causes the person’s body to change into the Sphinx physique, longevity, and develop unique abilities and skills. – OR – When a genetically altered Sphinx can transform into a feline form. Trauma Cell – Located in the Staging Cavern. Secure medical room for emergency treatment of Warriors during battles with the Wraith. Warrior Initiation Ceremony – The final test of a Sphinx before they are officially one of the Sphinx Warriors. During a public battle they must pass the test of the ultimate reason for being efficient and successful in battle and completing those actions. Warrior’s Link/Power Connection – The ability of the Sphinx Warrior leader to link the minds of the Sphinx Warriors during battle. This enables the Warriors to see, hear, plan their battle coordination mind to mind in milli-second time giving them an edge over the Wraith. Warrior’s Quarters – The level of the Complex where the Sphinx Warriors inhabit. Wraith – The evil creatures who try and invade the Earth via the Dimensional Gates. They are gray skinned, wolfish appearing with fangs, claws, and eyes that are completely black. They are evil and destructive by absorbing all of the Life Power, Life Force, and ultimately life from a person. They accomplish this through touch alone.